Houston, TX and Chicago, IL– July 21st, 2015 - AcctTwo, a leading consulting firm and provider of cloud-based financial management solutions, announced that Park Community Church in Chicago has implemented Intacct to manage multiple locations and anticipated future growth. Founded in 1986 under the vision of "doing ministry in the shadow of the [Chicago] skyline,” today Park Community Church’s vision is to reach 1% of the city of Chicago with the message of the gospel. To that end, since the summer of 2008, the church has opened five additional campuses in various Chicago neighborhoods, with plans to open additional campuses and church plants in other neighborhoods. 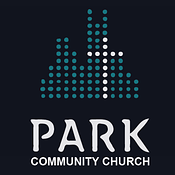 After a rigorous software evaluation, Park Community Church chose Intacct over other on-premise and cloud solutions as the best fit to meet the unique needs presented by its ongoing expansion. Intacct provides Park Community Church with the ability to create flexible reports by dimensions, such as by ministries, locations, or both. Intacct's best-in-class approach allows Park Community Church to easily integrate other financial management software, like Nexonia, to provide time-saving credit card and expense automation. Intacct allows Park Community Church to ensure control and regulatory compliance with nonprofit accounting and tax standards.